At a special Travel Weekly summit, a group of travel experts examined the growing threat from cyber criminals and what travel firms can do to protect themselves from attack. We heard from experts in cybercrime and data security. It covered fraud, security, cyber-crime, compliance, payments, data, company structures to cope with all this and disaster recovery. In the hospitality industry, as in the wider travel industry, it has become vital that IT security is given priority focus as firms become increasingly global, embrace new forms of payment, outsource to third-party Software as a Service (SaaS) solutions and move to cloud computing. The threat of cybercrime has never been so acute as some major companies outside of the travel sector have found to their cost. Indeed, most recently here in the UK we have also seen the widespread chaos in the NHS that the huge ransomware attack brought about. Within the broader travel industry, the travel industry association ABTA was targeted earlier this year when hackers exploited a third party service provider and stole the personal data of 660 members and some 430,000 of their customers. Cyber experts have warned that the travel industry as a whole is particularly exposed to criminal activity due to the sheer amount of data that is collected by companies and the degree to which that data has to be shared. Official figures put the cost of cybercrime to the UK economy at £10.9 billion in 2015-16 and yet it is estimated that only 10% of chief executives have taken steps to protect their companies. In addition, with the new EU GDPR regulations governing the protection and processing / handling of data due to come in during May next year, along with the associated severe penalties for companies that breach them, it is more important than ever for senior management to take steps to protect their companies and the personal data they hold. 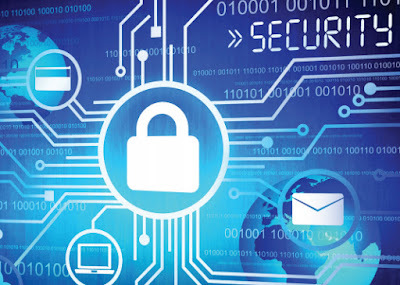 In this world of increased threat to a company’s IT infrastructure, there are many areas of focus for companies to understand the importance and relevance related to safety and security in their business processes. One area in particular of utmost importance in our super connected and highly transactional hospitality industry is that of payment security. With the explosion of service providers in the hospitality industry enabling payments in the online environment, it’s never been more important to provide customers and hospitality providers with secure environment and functionality to ensure payments are made safely and securely with as seamless a customer journey as possible. In addition, the rise of virtual digital payments in travel and the implications for security, has made this a very hot topic for the industry and we’ve seen several hospitality providers experience cyber security threats in recent times. For Guestline, ensuring that the provision of payment services in the world of hospitality offers peace of mind to customers - with Level 1 PCI compliance – is vital. Secure payment gateway services enable hoteliers to process their customers’ card payments in a totally PCI compliant way, when the company’s suite of hospitality software solutions are utilised. Clients benefit from a safe and secure method of storing and processing credit card details which can form part of the hotel’s overall PCI compliancy policy. Guestline has Level 1 PCI –DSS compliancy for hosting and payment processing and is listed on the VISA approved merchant list. PCI-DSS (Payment Card Industry Data Security Standard) is the standard payment card issuers have created to help reduce the level of fraud and card data loss. There are strong reasons for maintaining PCI-DSS compliance. Guestline has developed a very simple, efficient and completely compliant suite of solutions for hotels and hospitality businesses in order to address all these issues, along with money-saving and revenue generating opportunities. My education blog is very secure and free to use https://persuasivepapers.com/. You can visit us at any time! Its a great one. Thanks for sharing. Visiting such summits is useful for self-development. It is usually very informative. Another prerogative you always can meet new people and make valuable connections. See more information and marketing essay on my personal blog.